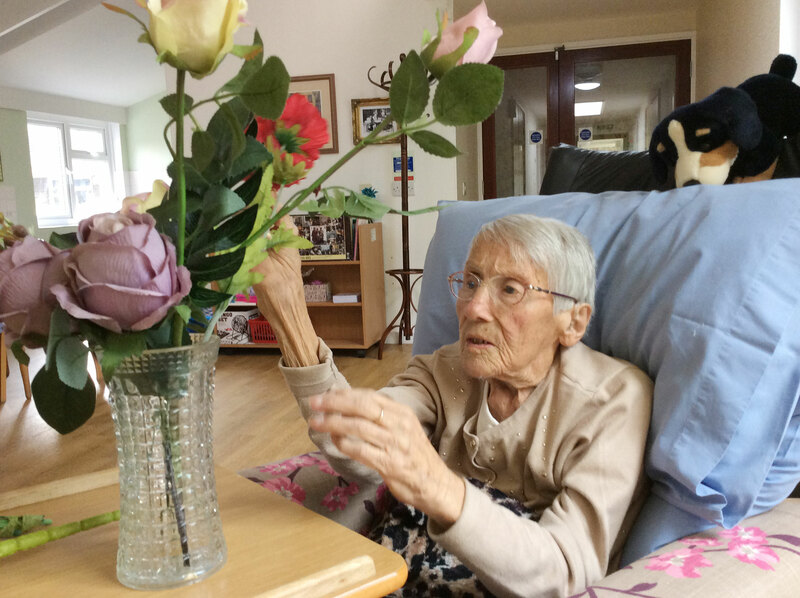 How Ixworth Court manages behavioural and psychological symptoms of dementia and how we minimise the use of non-pharmacological interventions. Research has found that meeting a person’s individual needs in an expected environment and providing them with relevant activities that engage and stimulate them can both increase their quality of life and support in the management of some of the behavioural and psychological symptoms that are often associated with dementia, increasing a person’s sense of well-being. Activity-based support often does not meet the needs of a person with dementia. It’s the difference between taking a cup of tea to a resident sitting on their bed or journeying to the kitchen together to make tea. The resident finds themselves in a familiar environment, one that reassures and includes them in the tea making process, particularly helpful for residents with high levels of need. Inclusion in socially relevant activities is offered to our residents as daily therapy and can be considered an alternative to using antipsychotic medications in care homes. In our Homely Lounge, rhetoric and practice are considered one of the same—experiencing socially relevant activities is part of living in homely house—we set the table and we sit at it for breakfast and lunch, we offer tea in a kitchen environment, one that will feel like a kitchen that they might have had in their own home. All of our staff are trained in kitchen management which includes what socially relevant activities are, and how to incorporate them into an expected environment. We use music therapy to support calming behaviours, and we sit at long tables that enable us to work along-side our residents. Side-by-side working encourages eye-contact, especially with activities that include peeling vegetables for dinner, buttering bread, and reaching for objects. It’s common for people with dementia to see changes in their ability to recall recent events or to confuse the sequence of happenings, and so living within these expected environments helps minimise confusion. With the support of the care team, a person with dementia can maintain self-efficiency and increase welfare. We spend a lot of time talking with our residents, hearing about their life and engaging with the things that they like. By ensuring that we are armed with knowledge on their life before they came to us, we can share in their interests through the use of books and pictures, helping our residents to feel a sense of belonging.